Welcome to the ActiveYards® Dealer Portal! 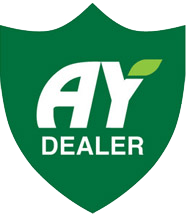 All qualified dealers may have access to the dealer portal with the request of a username and password. If you do not yet have a login and would like to obtain one, please complete the required fields and you will receive your login information via e-mail within two business days. As always, please feel free to contact us directly with any questions or concerns. The ActiveYards Dealer Portal will serve as an excellent tool for qualified dealers to be able to access and download all electronic assets including literature, signage, ad slicks, CAD drawings, beauty shots, silo shots, icons, logos and more. You will also have the capability to establish a unique profile for your business with your very own project gallery to showcase best practices. We strongly encourage you to participate in our dealer forum and online community to share company highlights. The Dealer Portal will also serve as the central location to stay current and up-to-date on all announcements and noteworthy alerts. This includes everything from our newsletter and promotions to any updates on existing marketing items. Dealers can also take advantage of submitting orders online through the portal. We highly recommend all of our qualifying dealers to take advantage of the Dealer Portal and to utilize all of the great tools now available to you here.